WE BANJO 3 will perform on KING 5's New Day Northwest on Tuesday, October 9th in the 11:00am hour. 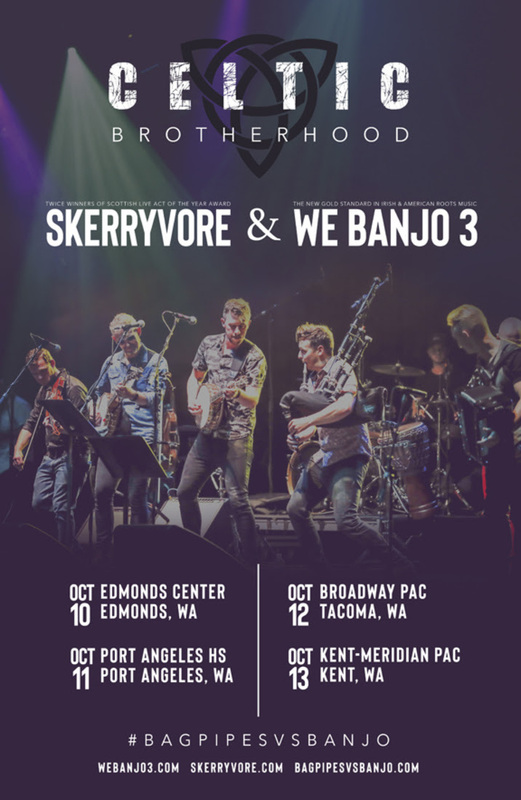 WE BANJO 3 and SKERRYVORE will perform four shows in Washington as part of their “Celtic Brotherhood” tour. This dynamic, high energy show packed with songs, stories, dancing and a cross-cultural exploration of ancient Celtic nations is a chance for audiences to watch two of Celtic music's hottest bands create a rich, live tapestry that tells the tale of two ancient nations and of immigration, which made an indelible mark upon the very fabric of American culture.